Your bathroom should be a room that exudes comfort, privacy and accessibility. 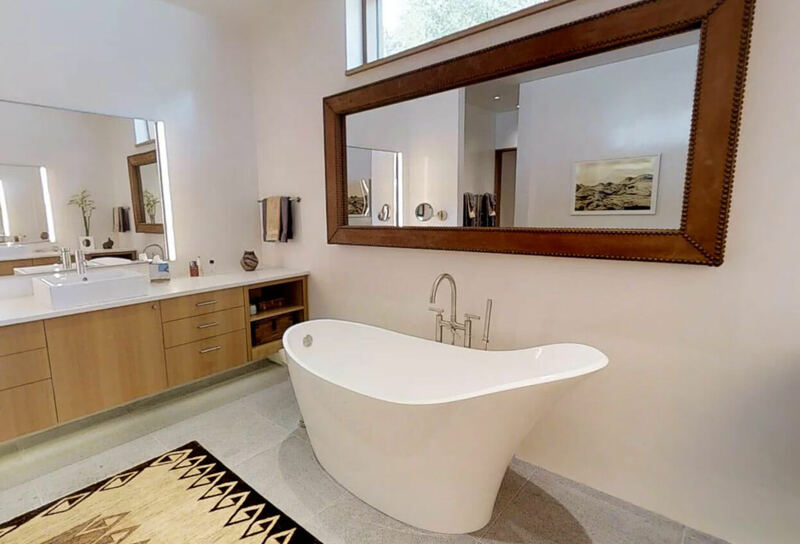 If the time has come for a bath remodel in Santa Fe, NM—whether to add utility or simply improve or modernize it—Apple Construction LLC is ready to offer a transformative touch. We can tackle tub and shower improvements, flooring, countertops, cabinets and much more, to bring to life a bathroom that suits your needs each and every day.Having trouble choosing a bathroom design in Santa Fe, NM? Let us introduce you to the beautiful, alluring elements of both traditional and contemporary Southwestern styles! Adobe and hacienda styles define traditional Southwestern architecture. They utilize natural stone and wood elements, alongside pantone colors and earth tones, to create a landscape-like appeal indoors. With broad opportunities for natural light and high, lofty overhead spaces, traditional design feels more open and inviting. Our experience with traditional style is completely unmatched. We’ve renovated 200-year-old structures on Canyon Road and classic adobe ranches in Galisteo, Arroyo Hondo and Tesuque! Contemporary design styles play on the core elements of traditional themes, while introducing modernity to the dynamics of the structure. Crisp, clean lines give rooms dimension and depth, while bold accent colors offset the traditionally neutral hues. Again, open light and airy, lofty overhead spaces are prevalent. Steel appliances and fixtures often serve to create standout appeal in kitchens and bathrooms. The entire aesthetic rings true to Southwestern themes, yet accommodates modern innovation. 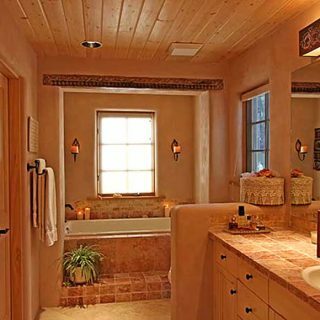 Because both traditional and contemporary styles rely so heavily on natural materials as the foundation for their aesthetic, we pay special mind to selecting them during the preconstruction phase of every bathroom remodel in Santa Fe, NM. Count on us to use only the finest materials and select products that align with both your décor preferences and healthy home building habits. From choosing the right stone, to selecting a beautiful wood grain pattern, to exploring stainless elements of the highest caliber, we take materials selection seriously. Your bathroom is a place where you should always feel comfortable and accommodated. Let the team at Apple Construction LLC reinvent this space in your home to ensure it’s everything you deserve on a daily basis. Whether you’re looking to add home value, increase appeal or simply modernize this often-used space, contact us today at 505-983-6014 for more information.